Use the form below to inquire about Heritage Houseboat Stay at Nagin Lake . Use the form below to reserve for Heritage Houseboat Stay at Nagin Lake . 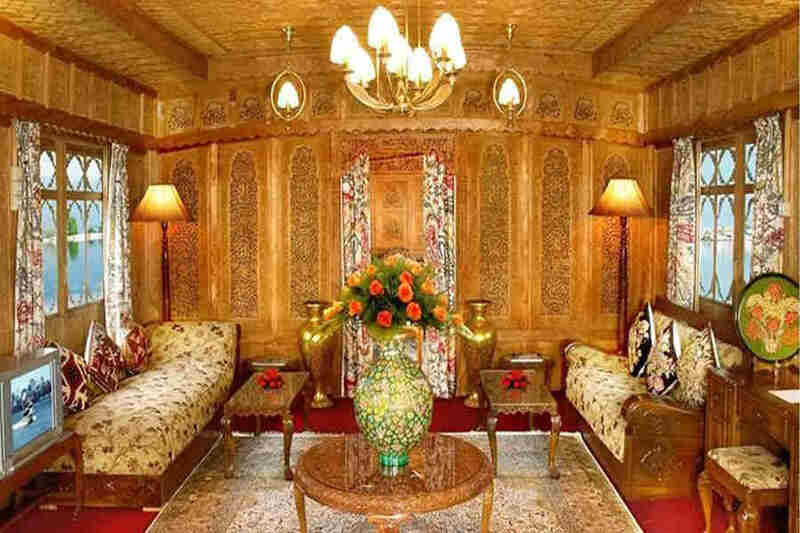 These are lavish rooms with wooden furniture that features intricate wood carvings and designs. The Heritage Houseboat Stay at Nagin Lake is the perfect way to experience the bliss of living in paradise on earth. 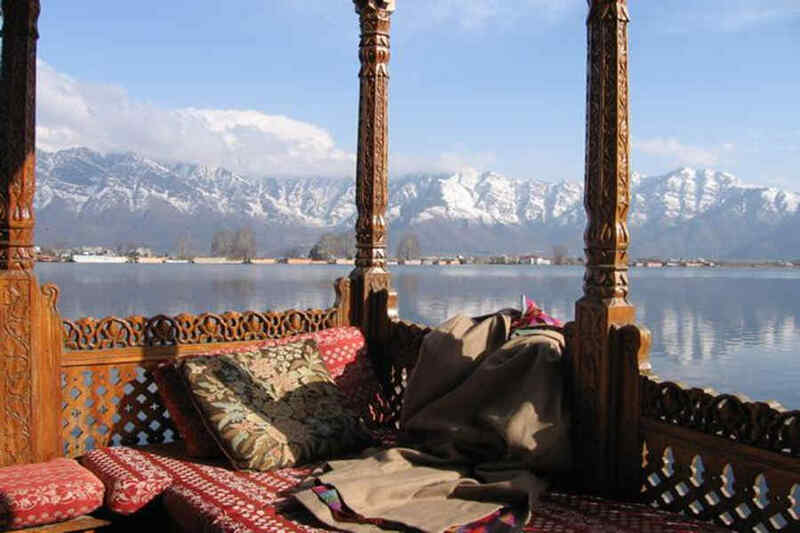 Calling Srinagar heaven on earth is quite a misnomer for the beauty nature has bestowed upon this region. Lush green valleys are speckled with colors, of flowers and colorful rooftops, in summers. Winters turn this place into a snowy fairyland. The placid lakes that look like mirrors, the mighty Himalayan and Pir Panjal ranges towering high, tumbling springs and rivers, and rolling meadows will all take your breath away. Amid all this natural beauty is the Heritage Houseboat Stay at Nagin Lake. It’s a getaway that can give your imagination of the most beautiful place in the world a tough competition. The Heritage Houseboat Stay at Nagin Lake is unlike any other holiday. It’s a romantic getaway that promises lush comforts, cozy lavishness, and soul-pampering leisure. This lavish houseboat calls the tranquil Nagin Lake its home and sets the tone for your visit to the paradise on Earth. The houseboat itself is a floating paradise located in one of the most stunning lake valley in the world. Flowering trees surround the houseboat and make a great addition to the amazing views it promises. 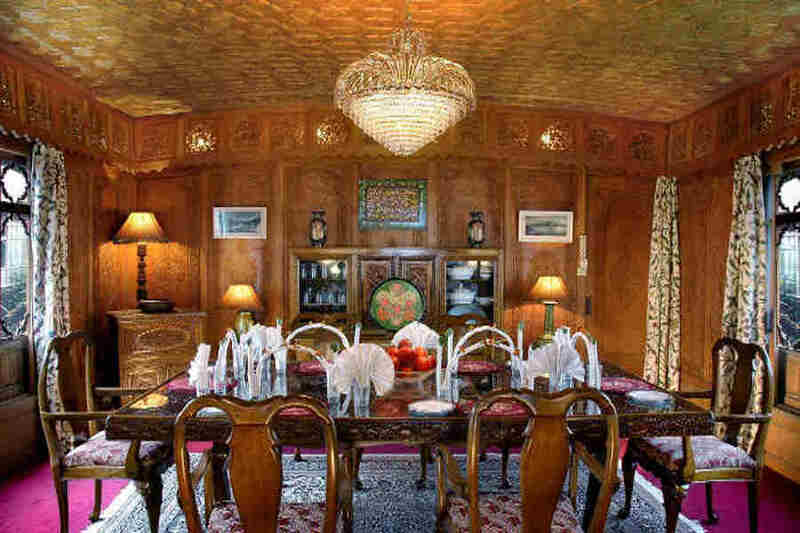 The houseboat has a dining room where you can treat your appetite. There is also a sitting room with verandah from where you can etch the stunning views forever in your memory. 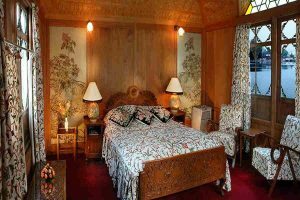 Accommodation can’t get better than the Heritage Houseboat Stay at Nagin Lake. There are 15 deluxe rooms and three suites. All the rooms are well-furnished to ensure you have a comfortable stay. 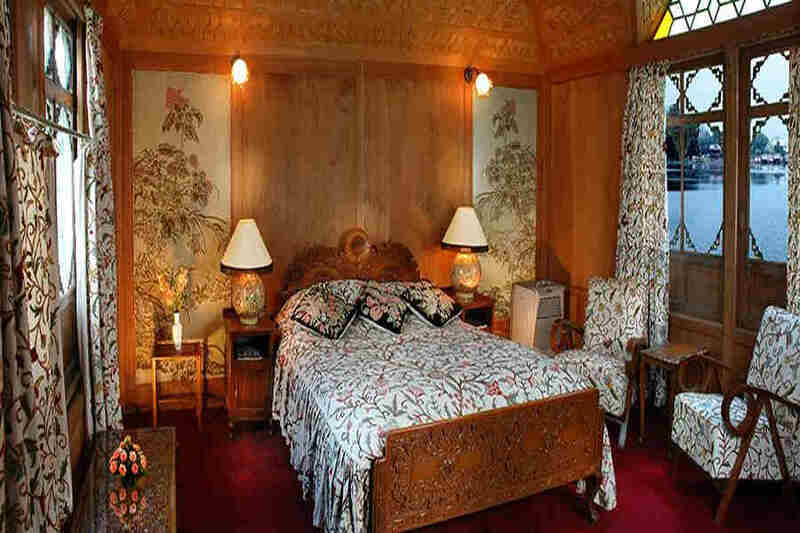 They are all lavish rooms with wooden furniture that features intricate wood carvings and designs. The upholstery brings the essence of spring into the rooms while giving them an unparalleled degree of coziness. The warmly lit rooms are equipped with all the modern comforts you will need to have a comfortable and memorable stay. Lunch or dinner will be charged at INR 700 respectively. If you want to do something other than admiring the scenic beauty all around you at the Heritage Houseboat Stay at Nagin Lake, there are many places you can visit. 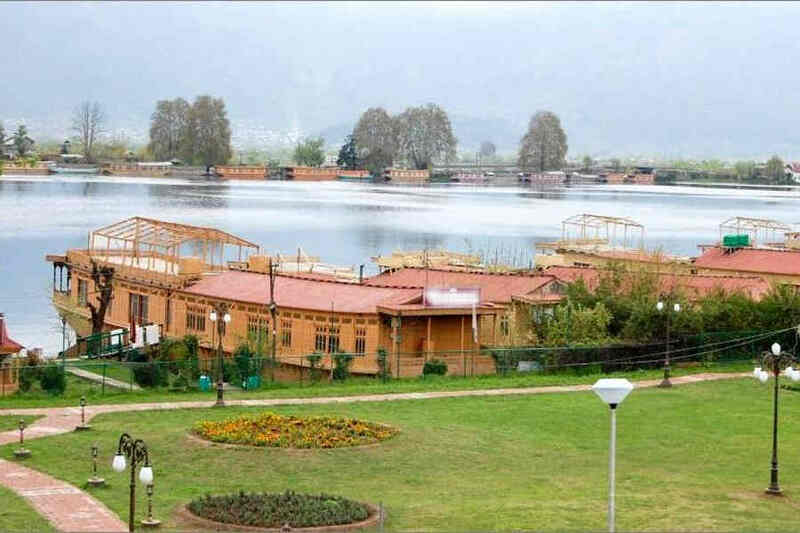 Start your excursions by visiting one of the many gardens that dot Srinagar. Shalimar Garden, Nishat Garden, and Chashme Shahi Garden are located close to the houseboat. Shalimar Garden was built almost 400 years ago by Jehangir, the Mughal Emperor, for his wife Noor Jahan. Its location close to the famed Dal Lake makes it a must visit. The flower beds, terraced lawns, and fountain pools complement the expansive chinar trees and the beautiful pavilion. Snow-capped mountains of Pir Panjal range in the backdrop of Nishat Garden make it a treat to the visitors. You can also visit Shankaracharya Temple and Kheer Bhawani Temple during your stay at the houseboat. 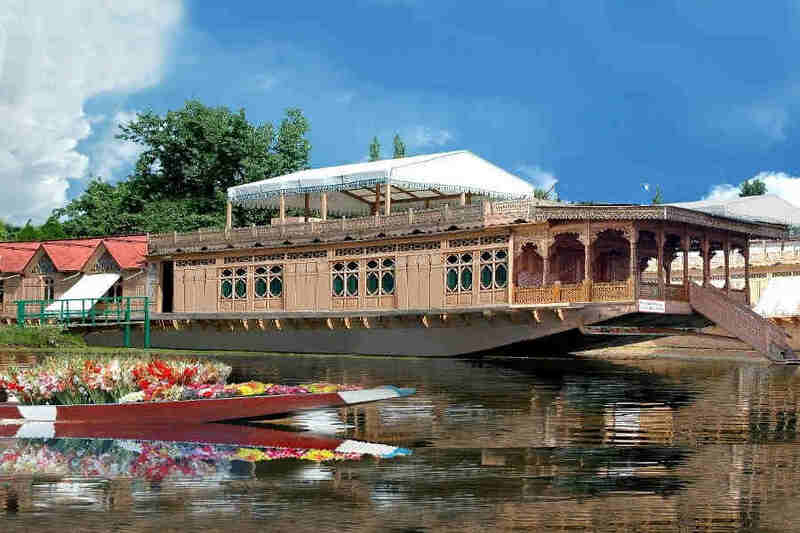 The Heritage Houseboat Stay at Nagin Lake is located 19 km away from Srinagar International Airport. The Indira Gandhi International Airport in Delhi is located at a distance of 837 km away from the houseboat. The Jammu Railway Station is the nearest station from the houseboat, located 267 km away. The New Delhi Railway station is at a distance of 821 km from the houseboat and is serviced by trains from across the country. Driving to the houseboat from Jammu (260 km), Leh (419 km), Amritsar (442 km), Delhi (819 km) or anywhere in the country is assured to be scenic.